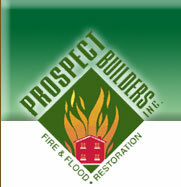 Prospect Builders is on call 24 hours a day, 7 days a week, 52 weeks a year. Call us at 1-800-486-4976. We're ready to respond to your emergency at a moment's notice. Our services are designed to mitigate your loss, protect your property, and get you back into your home or place of business as quickly as possible. After a devastating fire or other catastrophic event, our emergency board up team can respond to your call with all the necessary equipment to board up and secure your property to ensuring safety for all. What's more, we don't require payment from insured victims at the time of service because our first order of business is to secure your property. For some quick tips on the DO's and DON'Ts when you face an emergency, go to our Fire & Smoke Tips or Water Damage Tips page. © 2009 Prospect Builders, Inc. All Rights Reserved.